Have you been to children’s parties where kids are shy and left behind? For example, the overbearing kids take over leaving the quiet children on the sidelines. No doubt when you hire Tyler the owner of www.izzysentertainment.com kids are encouraged to participate from the beginning of your event to the end. First and foremost Tyler has a special gift for immediately connecting with all ages and personality types. In addition, from the moment I enter a kids party in N.J. my energy and excitement brings your event to life. Furthermore with many children’s entertainers in N.J. choosing a highly experienced kids DJ NJ is critical in making your event a success. 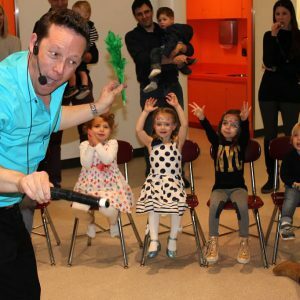 Izzysentertainment is arguably one of the best kids entertainers N.J. and is featured on this excellent family entertainers directory funnewjersey.com As a matter of fact you can find izzysentertainment on kids party.party. In my opinion you deserve the best children’s entertainment making parents happy they stayed and enjoyed with their kids! 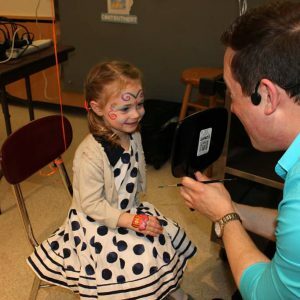 Below are the top 10 reasons to hire a DJ for kids in N.J.
MC Tyler brings sophistication to your event by expertly timing when the children’s entertainment begins. Izzysentertainment uses a state of the art wireless headset mic allowing perfect sound for any venue. Above all DJ Tyler will keep the kids on the dance floor for the entire duration of your party. In Conclusion Tyler performs a high energy interactive comedy magic show for kids in N.J.